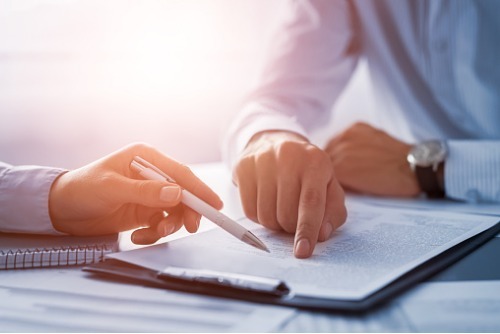 Trade associations and cooperatives in the mortgage industry have called on the Consumer Financial Protection Bureau to update its Loan Originator Compensation rule, saying changes to the rule should be prioritized to help consumers and reduce regulatory burden. The rule seeks to protect consumers from harms associated with “steering,” such as when borrowers agree to a loan they do not understand and cannot repay. However, trade groups say steering is now less likely given regulations since the passage of the Dodd-Frank Act. The groups cited the Qualified Mortgage rule and, more recently, the bureau’s TILA-RESPA Integrated Disclosure rule. “While these regulatory developments have reduced the risk of steering, the LO Comp rule places strict limits on certain practices that actually would result in lower consumer costs or greater product availability. After more than five years under the rule, a rebalancing is needed,” the groups said in a letter to CFPB Acting Director Mick Mulvaney. The bureau should allow loan originators to voluntarily lower their compensation in response to demonstrable competition in order to pass along the savings to the consumer. he bureau should allow lenders to reduce a loan originator’s compensation when the originator makes an error. Lenders should be allowed to alter loan compensation in order to offer loans made under state and local housing finance agency (HFA) programs. The groups further called on the bureau to explore ways to generally simplify the rule. “The bureau should add clarity to the regulation, including specifying a clear ‘bright line’ list of impermissible compensation factors rather than the current approach of providing a short list of permissible factors and a vague and complicated ‘proxy for a term’ analysis that serves to discourage everything else,” the group said. The letter was signed by American Bankers Association, America’s Mortgage Cooperative, Capital Markets Cooperative, Community Home Lenders Association, Community Mortgage Lenders of America, Consumer Mortgage Coalition, Independent Community Bankers of America, Mortgage Bankers Association, The Mortgage Collaborative, National Association of Federally Insured Credit Unions, The Realty Alliance, and Real Estate Service Providers Council.